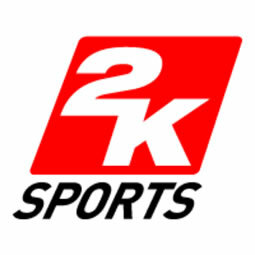 Founded in 2005, 2K develops and publishes interactive entertainment software games for the console, PC, and handheld gaming systems through its three divisions: 2K Games, 2K Sports, and 2K Play. 2K publishes titles in today's most popular gaming genres, including first-person shooters, action, role-playing, real-time strategy, sports, casual, and family entertainment. The 2K label has some of the most talented development studios in the world today, including Firaxis Games, Visual Concepts, Irrational Games, 2K Marin, 2K Australia, 2K Czech, Cat Daddy Games, and 2K China. In just a few short years, 2K launched the 2007 Game of the Year - BioShock®; continued the award-winning Sid Meier's Civilization® series; delivered the #1 rated and #1 selling basketball franchise with NBA® 2K9*; and broke new ground in the family entertainment market with its multi-million unit selling hit Carnival Games. 2K is headquartered in Novato, California and is a wholly owned label of Take-Two Interactive Software, Inc (NASDAQ: TTWO).